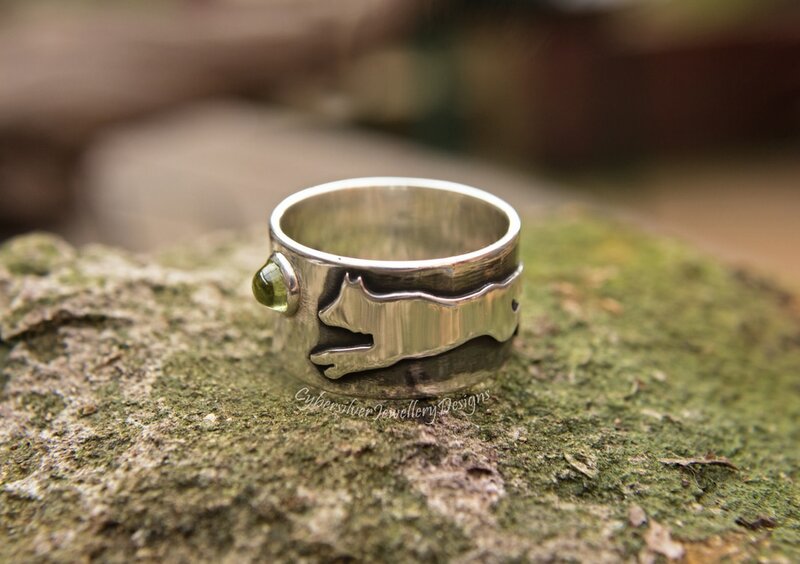 A powerful wolf leaps along the side of this gorgeously chunky silver ring. 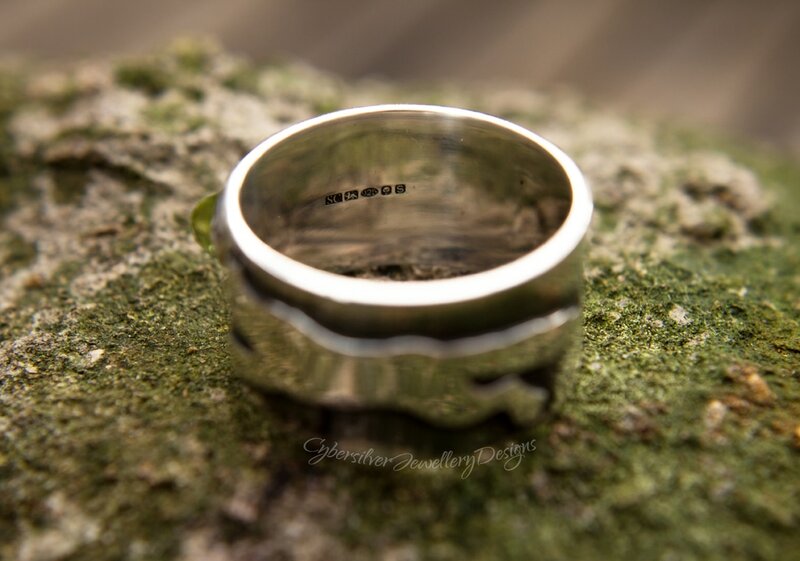 Hand cut from sterling silver he has been soldered securely onto the handmade sterling silver ring. He leaps toward a stunning hand cut peridot gemstone - a most beautiful bright green. This ring is lightly textured and oxidised. The silver is then polished to highlight the design and waxed with a microcrystalline wax to help protect the oxidised surface. This ring has been entirely hand fabricated by me in my Oxfordshire studio to my original design. ​Peridot is the birthstone for August.